The construction of the Serbian leg of the Turkish Stream gas pipeline will have been completed by the end of 2019 – CEO of Gazprom, Alexei Miller has said, adding that the Serbian segment will be 403 kilometres long. “The pipeline will cross the Serbian-Bulgarian border and go all the way up to the Serbian-Hungarian border. As for the deadlines, the main line will be built by the end of 2019”, Miller said on TV Russia-1. Russia and Serbia have signed the Memorandum of Understanding on the expansion of the capacities of the underground natural gas storage in Banatski Dvor. The memorandum stipulates the basic parameters of the expansion of the underground storage to 750 million cubic meters a year. As Tass reports, Russian Energy Minister Alexander Novak stated that Russia was prepared to increase the delivery of gas through Serbia. 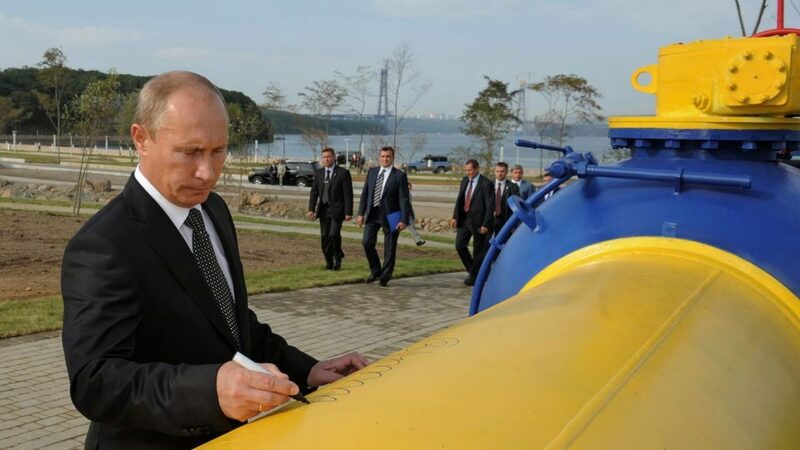 He added that Serbia not only received gas, but transported it as well, and that the volume amounted to around 350 million cubic meters a year. According to him, the possibility of increasing the volume of gas transport is being considered. The two countries signed a protocol on the expansion of the gas transport infrastructure in 2017. “This is, above all, the prerogative of Serbian companies, and we will increase the volume of gas delivery on our part provided that we agree on the road map”, Novak said. When asked about the potential participation of Serbia in the Turkish Stream project, he said that all questions regarding the transport would be solved in line with the EU and Serbia’s regulations.